Previously Mr. Pyon served as Vice President of Cloud Practice at CGI Federal, a wholly-owned U.S. operating subsidiary of CGI Group, Inc. In this capacity, he delivered CGI’s cloud offerings and thought leadership for the federal market. Mr. Pyon successfully led the company to receive one of the first Provisional-Authority to Operate, or P-ATO, for the CGI Federal community cloud under the Federal Risk Authorization and Management Program, or FedRAMPSM, and Department of Defense, or DoD. Mr. Pyon continues to prove instrumental in developing infrastructure as a service, platform as a service, software as a service, integration, security and consulting services for public, private, community and hybrid cloud services for United States federal agencies. Prior to joining CGI Federal, Mr. Pyon served as Senior Program Executive and Product Executive Director at Lockheed Martin. As Senior Program Executive, he successfully executed and delivered quality surveillance products and innovation-based technical solutions for a Department of Homeland Security program. 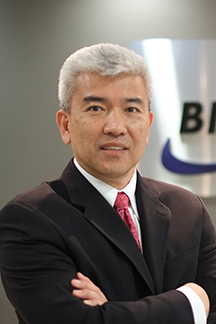 As Product Executive Director, Mr. Pyon oversaw cloud computing and cyber security solutions for Lockheed Martin Global Telecom. He also led the planning, design and successful transition of a strategic initiative to integrate the products and services of three business areas into a singular, shared-services model. With more than 28 year of information technology experience, Mr. Pyon provides innovation-based technical solutions and effectively manages the development, implementation and execution of various government programs. His supervisory experience spans multiple fields, to include: program management, business re-engineering, architecture and systems development for DoD, government intelligence services, telecommunications, finance and public services. Mr. Pyon holds Bachelor of Science in Aerospace Engineering from West Virginia University and a Master of Science in Electrical Engineering from the University of Dayton.